PURVES J.R.W. 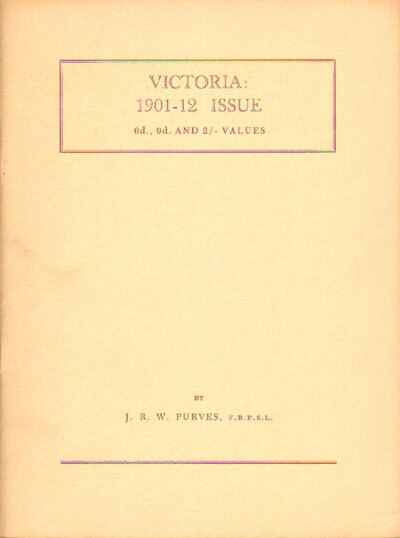 - Victoria: 1901-12 issue. The 6d, 9d and 2/- values. 36pp + plates. 1st ltd. ed of 500 copies, fine in buff card covers.